Of all the Democrats in Congress who went hard after Donald Trump as soon as he illegitimately took office, Ted Lieu may have been one of the most fearless. Lieu has consistently called out Trump’s crimes and scandals, as well as the Trump family’s crimes and scandals, at every turn. Now he’s throwing down the gauntlet. Donald Trump had a whiny self-pitying meltdown last night which culminated with him listing off a bunch of non-accomplishments before declaring “Does anybody really think I won’t build the WALL? Done more in first two years than any President! 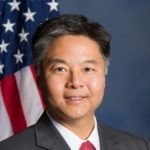 MAKE AMERICA GREAT AGAIN!” Ted Lieu wasn’t having any of it, firing back with “Under the United States Constitution, you don’t get to decide if you can build your wall. Congress does. That’s why you threw a temper tantrum and shut down government for 35 days. Remember?” But he was just getting warmed up. Ted Lieu then turned his attention to Republican House Minority Leader Kevin McCarthy, who went on television and ludicrously tried to paint Donald Trump as the hero of his own disastrous government shutdown. Lieu had this message for McCarthy: “If you are going to lie, at least come up with more believable ones. We read and see the same statements by Donald Trump & his Administration that you do. You disrespect the American people by treating us like we are stupid. We are not stupid.” Not surprisingly, McCarthy had no response.